Shopping for a Mortgage? Maple Tree Can Help! How Do I Shop For A New York Mortgage? Shopping for a mortgage can be an intimidating process, but Maple Tree Funding makes it easy for you to understand the options and rates available! Have you ever used Expedia or Priceline to find the best deals on hotels or airfare? 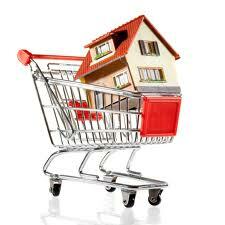 If so, you are probably someone who is interested in finding the best prices as efficiently as possible. Why waste time going to each individual hotel’s or airline’s website when you can use one website to find and compare all of the deals in one place? Here at Maple Tree Funding, we agree! That’s why we offer a similar service to our customers, in order to make the mortgage shopping process as efficient and straightforward as possible. We work with numerous banks and receive numerous rate sheets for specific programs that tailor to the needs of our clients. We don’t ask our clients to run from bank to bank having their credit report pulled several different times in order to get the best interest rate. Instead, we take care of that for our clients! With one credit report pull, in a fraction of the time, we help our clients to find the best available mortgage options, presenting the options in a clear, organized fashion. At Maple Tree, we understand that not everyone knows exactly what type of loan program they qualify for or even what type of program is best given their scenario. A person that qualifies for an FHA Mortgage may also qualify for a VA Loan with more favorable terms. A USDA Loan may be perfect for someone just starting out that does not have a lot to spend for a down-payment. Maple Tree Funding will not only give you term, payment, rate, and closing cost options. We will review the different type of loan programs with you! A conventional mortgage may not make sense for every client. That’s why Maple Tree Funding offers a variety of loan programs and helps you to understand which option is right for you. The ease of comparing all of your different options and prices in one place is undeniable, no matter what you’re shopping for. When it comes to mortgage shopping, Maple Tree Funding makes your experience as smooth as possible with our ample products, our various lenders and our helpful customer service. Start Mortgage Shopping with Maple Tree Funding Today! Give us a call at (518) 782-1202 or fill out our quick New York Mortgage Application today and let us help you find the mortgage option that’s right for you!